The Hyosung GT250R is now available with dual-channel ABS. As per dealers, the non-ABS model has been phased out, and the ABS version costs INR 3.48 lakhs, ex-showroom, Mumbai. This is now the only bike in the 250 cc segment to have a dual-channel ABS. The booking amount stands at INR 50,000 and may vary from dealer to dealer. 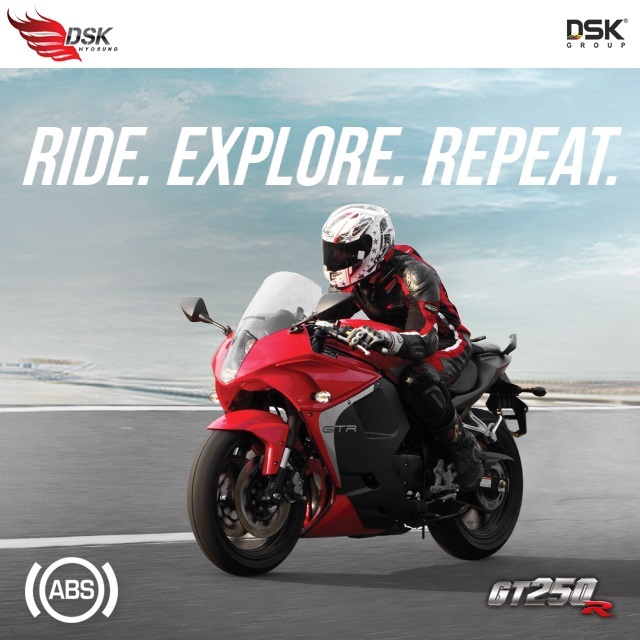 Apart from the inclusion of ABS, the bike remains the same as the non-ABS model. The motorcycle gets butch, fully-faired bodywork with twin headlights stacked on top of the other. The high tail features well-cushioned pillion seat with split grab handles. The large end-can looks old-school. Powering the Hyosung GTR is a 249 cc DOHC V-twin engine with air and oil cooling. The powerplant works in conjunction with a 5-speed transmission. Coming to the numbers, the engine is good for 28 bhp of power at 10,000 rpm, and 22.07 Nm of torque at 8,000 rpm. Suspension bits include upside down front fork and a rear monoshock. The bike enjoys a generous 17-litre fuel tank, and has a kerb weight of 188 kg. The motorcycle comes to a halt using dual front discs, and a single rear disc. The addition of ABS will further enhance the bike's braking performance. In the current 250 cc segment, the bike competes with Yamaha FZ25, KTM 250 Duke and the similarly-expensive Kawasaki Z250. 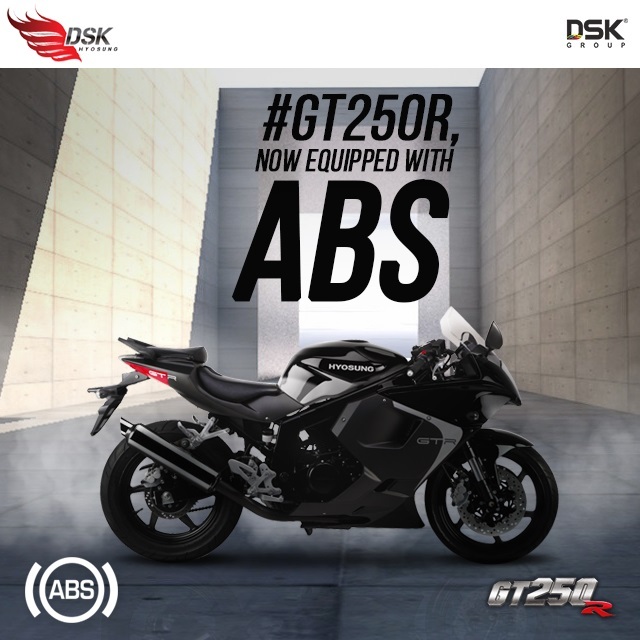 The GT250R is available in Titanium Black, Titanium White and Titanium Red.